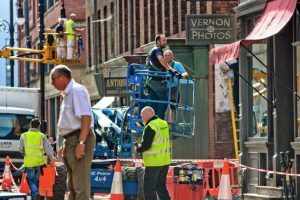 As anyone who has wandered through the Northern Quarter in recent weeks will know, Manchester has a tendency to attract enormous film crews, occasionally shutting down entire villages and filling the streets with foreign number plates and unfamiliar signposts. 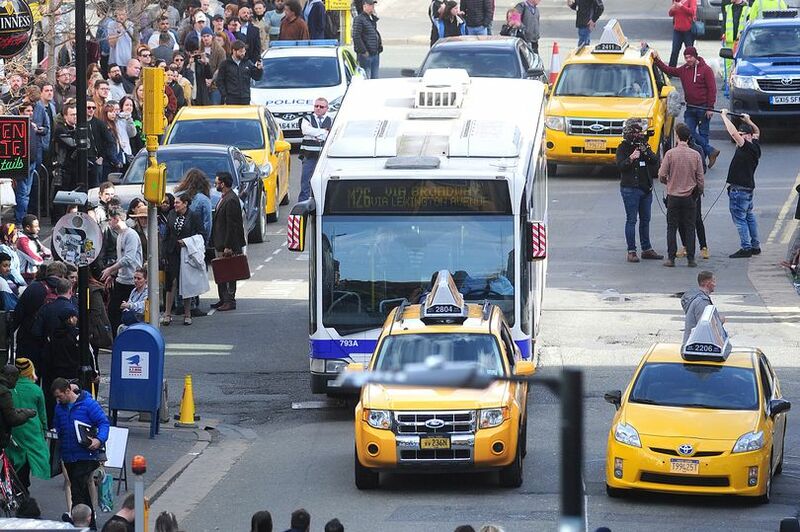 With Jared Leto and Matt Smith in town filming Spider-Man spin-off Morbius, the city’s been abuzz. They’re far from the first to cotton on to the similarities between Manchester’s architecture and Manhattan’s – Captain America was also shot in the Northern Quarter. Onlookers were stunned to see Chris Evans sprinting down Dale Street in pursuit of a car chase, with the street’s architecture doing an uncanny impression of 1940s New York. 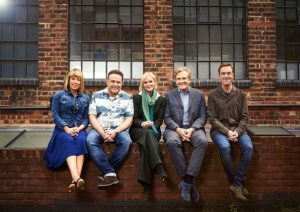 Cold Feet has always been proudly Mancunian – John Thomson, James Nesbitt, Hermione Norris, Faye Ripley and the rest of the cast have been spotted filming along the Manchester Ship Canal and drinking pints in Didsbury’s The Woodstock. Peter Kay’s Car Share took viewers on a drive-by tour of Greater Manchester, with the comedian cruising around various locations in Bolton, Trafford and Salford. Kay left a hidden gag in one scene, plastering ‘Manchester City’ to the recognisable structure of Old Trafford – Manchester United’s ground. A popular location – thanks in no small part to its grand architecture – is Victoria Baths in Chorlton-on-Medlock. 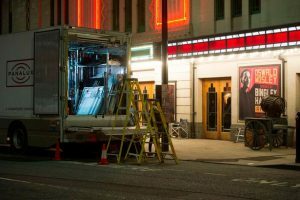 Here, Cillian Murphy and his gang of Peaky Blinders have filmed tense scenes – the same group have also been spotted outside Stockport Plaza, and even walking alongside a horse-drawn hearse through the city centre on a Friday morning. The list goes on and on, spanning across the boroughs of Greater Manchester – and we’ve heard Jared Leto might be back for another round soon.